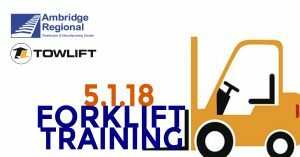 Towlift, Inc. is conducting a #Forklift Training class at the Ambridge Regional Distribution & Manufacturing Center on May 1st. Cost if $150.00 per person, payable to Towlift. Starts at 7:30AM and runs approximately 4.5 hours. This course is for experienced operators. It includes classroom instruction for sit-down forklifts followed by a written test driving evaluation. Certificates of completion and wallet cards will be sent to your company allowing you to certify your operators in compliance with OSHA 1910.178 regulations. 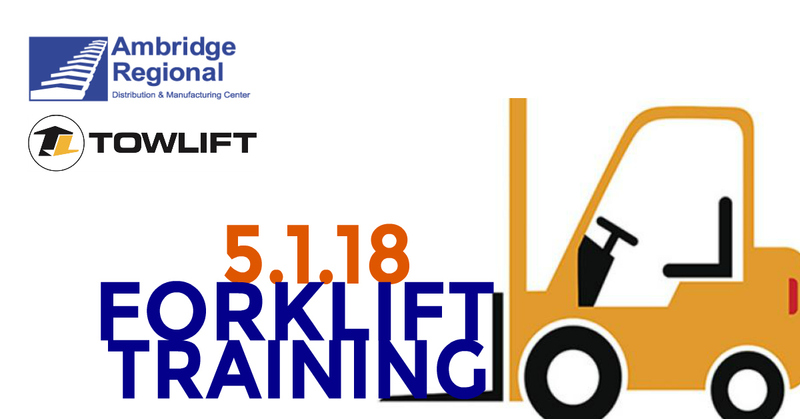 This is good for three years and if initial training is conducted by Towlift, we will do the recertification at a reduced rate when it is needed. Contact Craig Call direct to register for the class.